Did you know that using the Add/Remove Programs option in Windows is NOT the best way to uninstall software applications? In fact, sometimes even a program's own uninstall process fails to remove every installed file and restore all of its associated changes. To be absolutely certain that an application is completely removed from your system, and all file changes rolled back, you need Total Uninstall! 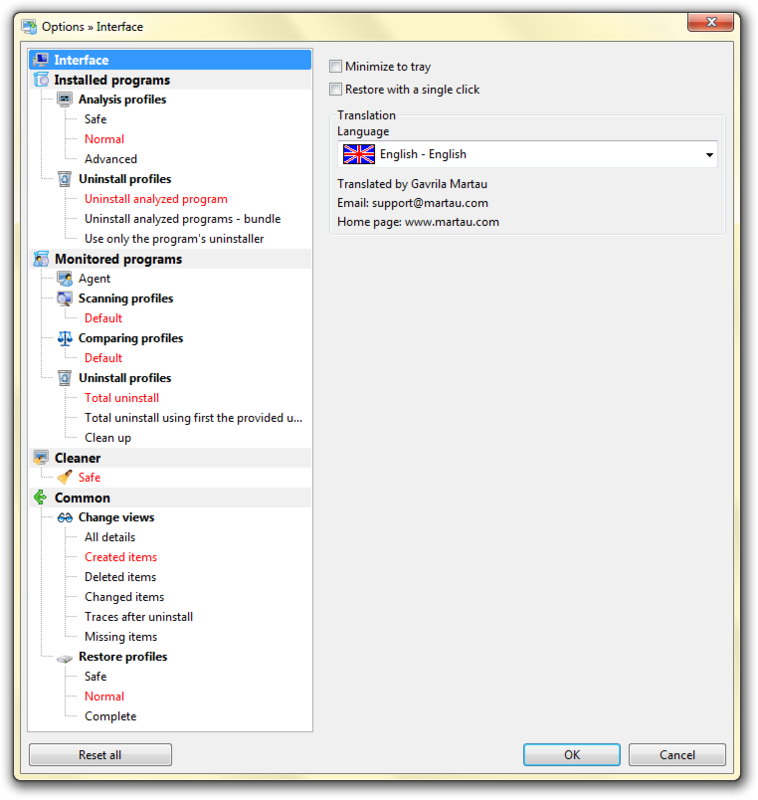 Total Uninstall is a powerful installation monitor and advanced uninstaller utility. 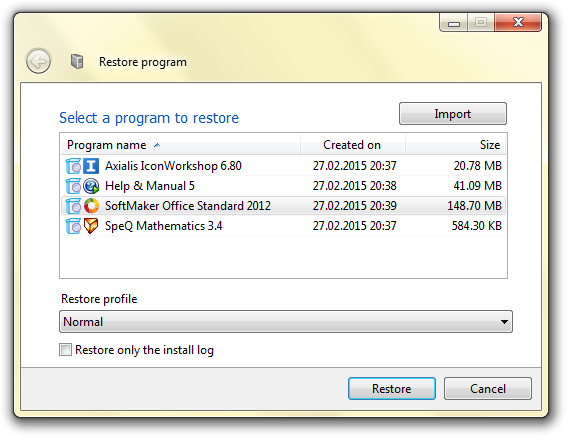 With Total Uninstall, you have access to two modes that make the complete removal of any program a simple and straightforward task. Under its Installed Programs module, Total Uninstall will analyze all of the software applications that are installed on your hard drive, then create a log of installation changes for each. 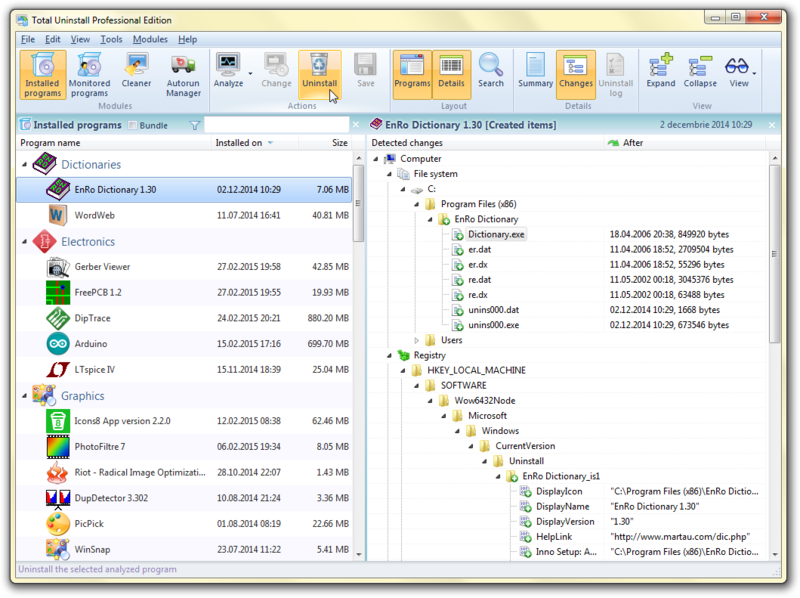 Selecting any program from the list reveals an intuitive tree view showing you all files, folders, registry entries, and values for that application. 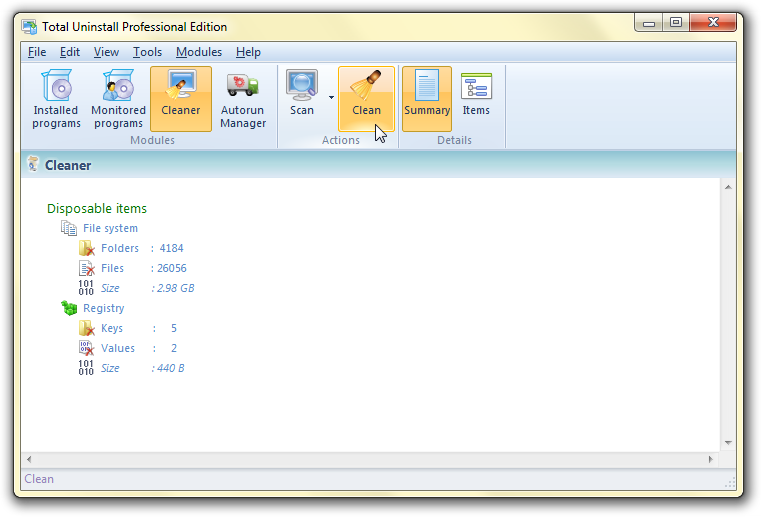 At your option, you can then proceed to remove selected components, or the entire program, from your hard drive! 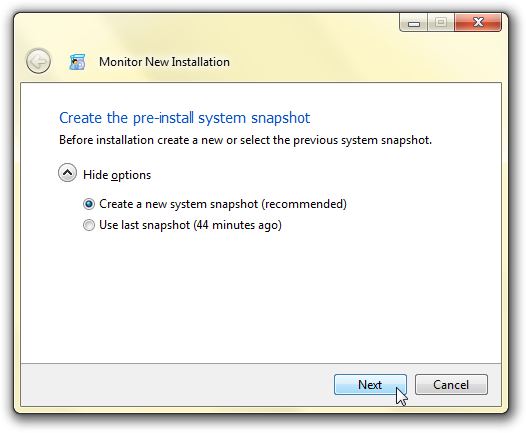 When installing new software, make sure to use the Monitored Programs mode. By taking a snapshot of your system before and after the installation process, Total Uninstall is able to show you a tree view of all of the changes that were made to files, folders, registry entries, and values! This makes later uninstallation easy as pie! Completely remove all files, registry entries, and system changes associated with any installed application. 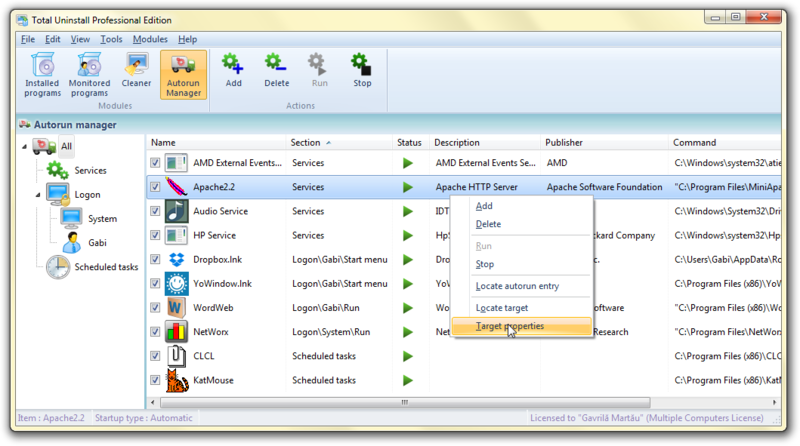 Access an intuitive view of all of the installed components of an application. Selectively delete specific installed components of an application. Install new software with confidence. After you purchase Total Uninstall it may be used indefinitely. Total Uninstall is licensed per computer, and not per user.